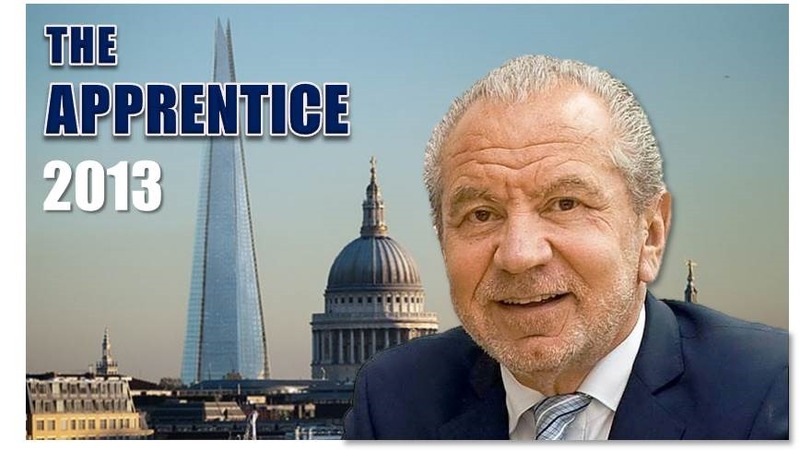 Two years ago, readership of my blog increased by a factor of twenty as I charted the highs and lows of a remarkable group of Apprentice candidates. Very quickly, it seemed to me that writing a weekly (sometimes twice a week) analysis was both fun and commercially valuable. So I repeated it with the next Young Apprentice series, and then again, the following year with The Apprentice 2012. Rebuilding my website last summer, I made an ï¿½Apprentice Pageï¿½ a part of my design specification.ï¿½ That seems a long time ago. Watching the first couple of episodes of last autumnï¿½s Young Apprentice 2012, I realised something had changed.ï¿½ Or my attitude had.ï¿½ I stopped after only two blogsï¿½ and with no explanation: I am sorry.ï¿½ This year, whilst I watched the first couple of episodes, I had already decided not to bother with a regular blog, and I have made no efforts to catch up with episodes I have missed. Firstly, I donï¿½t blame the candidates. They may look like a bunch of cardboard clichï¿½s fabricated at Jim Hensonï¿½s Muppet workshop, but I doubt it is entirely (probably not even largely) their fault. They are selected and the clips are chosen to make them look that way.ï¿½ I blame the production company and possibly the commissioning editors at the BBC.ï¿½ They give us the programme they think we want to see. I doubt it. I believe I am qualified to draw business and management lessons from a well-structured business competition, but I am in no way competent to judge, publicly, the choices and performance of people whose abilities start well above my own, and progress rapidly to a very different scale of capability. If The Apprentice is to be worth watching for people like me (and I fully accept I may no longer be your target audience), please stop and learn some lessons from MasterChef.ï¿½ Make your show more about admirable qualities and staggering performance, and less about weakness, humiliation and the worst of train-wreck telly. You donï¿½t need that to create drama, tension and human stories; MasterChef shows us that.ï¿½ You will, indeed, lose some of your viewers, but you will also gain many too. You stand to gain a grateful audience of people like me, who want to admire talented young will-be entrepreneurs, rather than sneer at miserable wannabees. how refreshingly sensible ! I applaud your clarity & hope that tv production companies everywhere hear your views LOUD & CLEAR! Mike, I understand exactly where you are coming from, and I too miss your posts. In continuing to blog the series myself, it’s become apparent that all we see now is – as you say – what the producers consider to be what audiences want. Somewhere along the line, what started out as a series which taught us some basic business lessons by showing us the candidates’ successes as well as their failures has focussed increasingly on just the failures and the kind of behaviours which belong in the Big Brother house, not a business environment. Anyone who does attempt to behave professionally is merely seen as weak. For me it remains an entertaining show, but much less than what it once aspired to be.